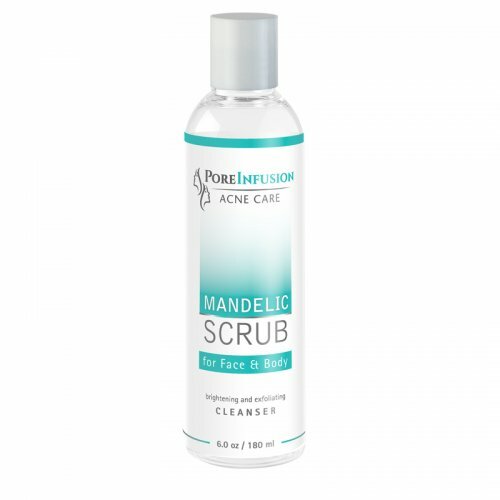 PoreInfusion Mandelic Scrub is an excellent multifunctional cleanser created for the treatment of many different skin conditions. 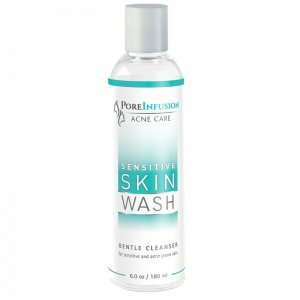 An ideal daily cleanser for body acne, folliculitis, and ingrown hair caused by shaving. 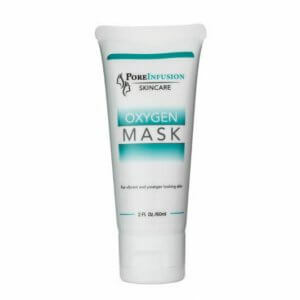 It will help restore healthy beautiful skin not just on the face but on the body too. 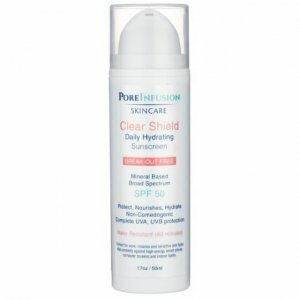 Recommended for: Treatment of face and body acne, uneven skin tone, folliculitis, shaving bumps. On body acne: the daily use of PoreInfusion Mandelic Scrub will help reduce inflammation, unclog pores and reduce hyperpigmentation. 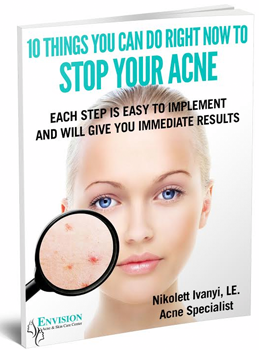 On folliculitis: with its anti-fungal benefits it is very effective to clear folliculitis and body acne. 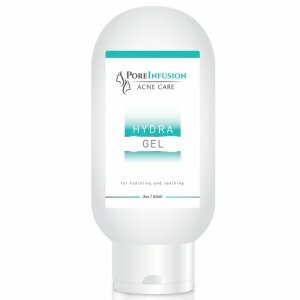 With clean, slightly wet hands, apply the gel onto the skin and then gently massage in circular motions. Rinse well with lukewarm water. Pat skin dry with a towel and follow with your favorite PoreInfusion toner. 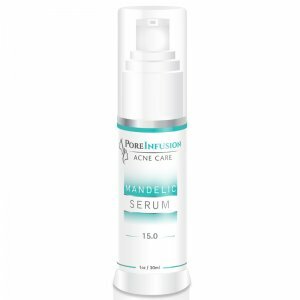 Mandelic acid: exfoliates dead skin cells, it is anti-fungal, anti-inflammatory,lightens hyperpigmentation and boosts collagen production. 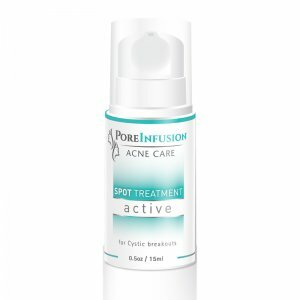 Green Tea extract: antioxidant and anti-inflammatory, helps reduce the signs of aging. Hops extract: balances oil production and lighten pigmentation.